Vibrant cerise pink shade. 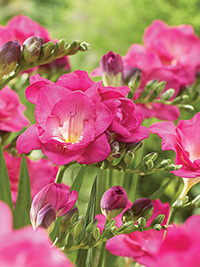 This double freesia is a great commercial cut flower variety. Fragrant, 40cm.